Ambassador Daniel V. Speckhard is the president and CEO of IMA World Health. A former U.S. Ambassador to Greece and Belarus, Daniel has had a long and distinguished career in government service under both Republican and Democratic administrations. Daniel’s previous positions have included serving as Deputy Assistant Secretary General at NATO and Deputy Chief of Mission in Iraq. Immediately prior to joining Lutheran World Relief in 2014 as president and CEO, he was a senior advisor to Palantir Technologies, a Silicon Valley company at the forefront of using technology to drive innovative change across the government, commercial and non-profit sectors. A problem solver, a negotiator, a consensus builder and a visionary, Daniel comes to IMA World Health with deep experience working at the nexus of economic development, international security and political change, areas closely linked to IMA’s mission to serve people experiencing poverty and marginalization overseas. In the wider policy arena, he served as a nonresident senior fellow in the Global Economy and Development program at the Brookings Institution. 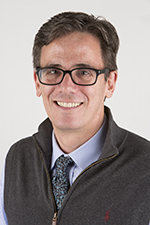 Daniel has a master’s degree in economics, a master’s degree in public policy and administration, and a bachelor’s degree from the University of Wisconsin – Madison and started his career in government as a Presidential Management Fellow. Rick Santos is senior advisor supporting the transition as Lutheran World Relief and IMA World Health combine operations. 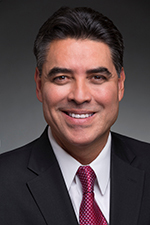 Previously, he served for nine years as the President and CEO of IMA World Health, where he led the organization through a period of transition that has included significant organizational growth and visibility through building healthy communities in some of the most difficult places in the world. Rick has a decade of field experience in Asia and has worked with faith-based and secular organizations in nearly every part of the world. His developmental approach includes building and prioritizing robust local and regional partnerships—communities, organizations and networks, which he believes are the key ingredients to successful and sustainable development work. Rick holds a Master of Business Administration degree from Johns Hopkins University’s Carey School of Business, a Masters of Theological Studies degree from Harvard Divinity School, and a Bachelor of Arts degree in Political Science from George Washington University. Jim Cox is the Executive Vice President for Health and Emergency Programs. 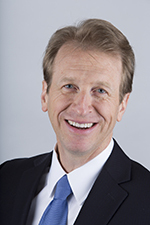 Prior to this position, Jim served as the Chief Operating Officer for IMA World Health. He also served as Country Director for IMA Tanzania. Prior to IMA, Jim worked in senior leadership capacities for almost 10 years with the United Methodist Committee on Relief. Jim has been working in the field of international relief and development for 20 years, serving senior management positions in the field and at headquarters. Jim holds an MA in International Politics and Economics. His professional focus has been on rural livelihoods and food security, public health (with an emphasis on malaria and HIV/AIDS), assets-based approaches to development, disaster risk reduction and relief, gender equity, and organizational development and capacity building. 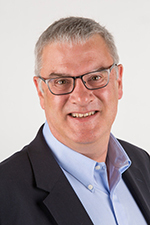 Tim has also served as the Board Chair for IMA World Health. 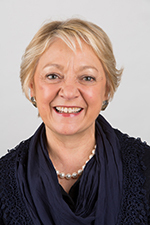 JoAnn Theys serves as Lutheran World Relief’s Chief Financial Officer and is responsible for the overall financial health and direction of the organization and the management of its fiscal planning, internal control environment and financial management systems. Prior to joining Lutheran World Relief, JoAnn worked at Jhpiego, an affiliate of John Hopkins University, where she was the Director of Global Finance and Administration. Earlier, she worked for the International Law Institute as Director of Finance and Administration, and at FINCA International as Controller and Internal Audit Manager. JoAnn, who is fluent in Spanish, spent three years as a Peace Corps volunteer in Paraguay. Wendy Rothenberger is responsible for the coordination and administration of organization-wide initiatives. Prior to working with Lutheran World Relief, Rothenberger served as the Director of Operations and Human Resource Development for the American Baptist Churches, USA. She has also spent one year in the Jesuit Volunteer Corp in St. Croix, USVI and 6 months as a volunteer with the American Baptist Churches in Chiang Mai, Thailand. In addition to serving as chief innovations officer, Roberto is the chief financial officer of IMA Innovations and holds the same position with Ground Up Investments. 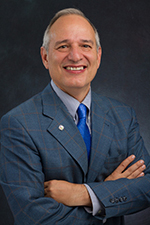 Roberto previously served as chief financial officer for IMA World Health. He brings more than 25 years of experience in financial management and leadership roles. He spent eight years at Pact Inc. in Washington, D.C., first as the Deputy Director of International Finance in 2009 before taking the role of the Senior Director of Financial Planning and Analysis in 2010 and then interim CFO. Previous to his various roles at Pact Inc., Roberto worked for XM Satellite Radio Inc., a publicly traded company, for eight years as Senior Finance Manager where he was able to apply his strong business skills by contributing to the development of the business model and long term strategy, and positioned the company to achieve a sustainable revenue growth. Roberto brings a wealth of financial and business talent. He holds a bachelor’s degree in Economics from the University of Lima in Peru, and an MBA in Finance from Virginia Tech. He is fluent in Spanish. Geraldine Sicola oversees philanthropic engagement, constituent engagement and marketing & creative services. She has spent virtually her entire career working for faith-based international NGOs. She has had two stints with Catholic Relief Services, first serving in overseas postings in Haiti, Tanzania, Ethiopia and Kenya, and later in Headquarters positions as Director for Global Relations and Strategic Issues and as Director for Education and Institutional Relations, US Operations, where she established new organizational alliances with colleges, universities and a major national health association. She has also worked with the United Nations Children’s Fund, both in the field and at headquarters in New York. Immediately prior to coming to LWR, Geri served as Director of Communications and Resource Development for the Aga Khan Foundation, which she joined in 2013. Before that, she worked for a decade with the American Friends Service Committee, serving as Associate General Secretary for International Programs. 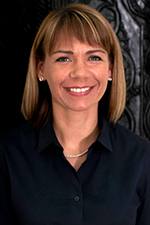 Dawn Butcher is responsible for the strategic leadership of the organization’s human capital management program. 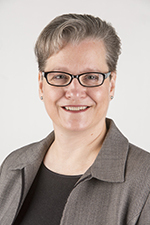 She has served as Associate Vice President, Human Resources for Lutheran World Relief. Previously, she worked for Women for Women International, a nonprofit humanitarian organization that provides practical and moral support to women survivors of war. She was based in its office in Greece, first as Global Human Resources Manager before rising to a position as Associate Director. She has also served in senior Human Resources positions with the Urban Institute, as Washington, D.C.-based think tank, and the Anteon Corporation based in Fairfax, Va. Dawn served as a volunteer for Médecins Sans Frontières beginning in October 2016, including a brief stint in Juba, South Sudan. 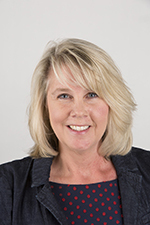 Dawn holds a bachelor’s degree from West Virginia University and a Masters of Interdisciplinary Studies in International Human Resources from George Mason University. 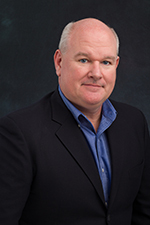 Michael Watt is responsible for ensuring that LWR’s programs, staff, and offices overseas are managed efficiently and in line with the agency’s strategies. He supervises the Senior Regional Directors for Africa, Asia and the Middle East, and Latin America, as well as the Senior Director for Emergency Operations, and oversees policies, procedures, and compliance related to international program budgets, structures and staffing, risk management, and staff safety and security. He is a multi-lingual leader with 25 years of international development experience in Latin America, Africa, and Asia, including work experience in Guinea-Bissau, Indonesia, Honduras, Angola, Mozambique, Zimbabwe, and Russia. Allyson Bear brings 20 years of global health leadership and experience in government, academia, and non-profit organizations to Lutheran World Relief and IMA World Health. Through various leadership roles, she has managed relationships with governments, bilateral and multilateral donors, civil society and communities across Asia, the Middle East and Africa to advance mutual health and development goals. Previously, Bear worked at USAID, where she developed investment strategies and managed health portfolios in Mali, Bangladesh, and Washington. 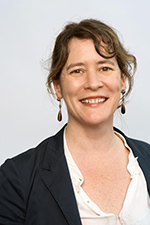 Prior to her work for USAID, Bear held a faculty appointment at Johns Hopkins Bloomberg School of Public Health where she managed GAVI-funded initiatives to accelerate uptake of new vaccines in low-income countries. She spent her early career managing diverse development portfolios in Palestine, East Africa and Indonesia for international non-profit organizations in the areas of maternal and child health, nutrition, reproductive health, water and sanitation, economic growth, agriculture, and food security. Bear has a Master of Public Health degree from Johns Hopkins School of Public Health and a Bachelor of Science degree in Social Policy from Northwestern University. She has spent 11 of the last 20 years living in Bangladesh, Mali, Burkina Faso, and Indonesia. She speaks French and Bahasa Indonesia in addition to her native English.